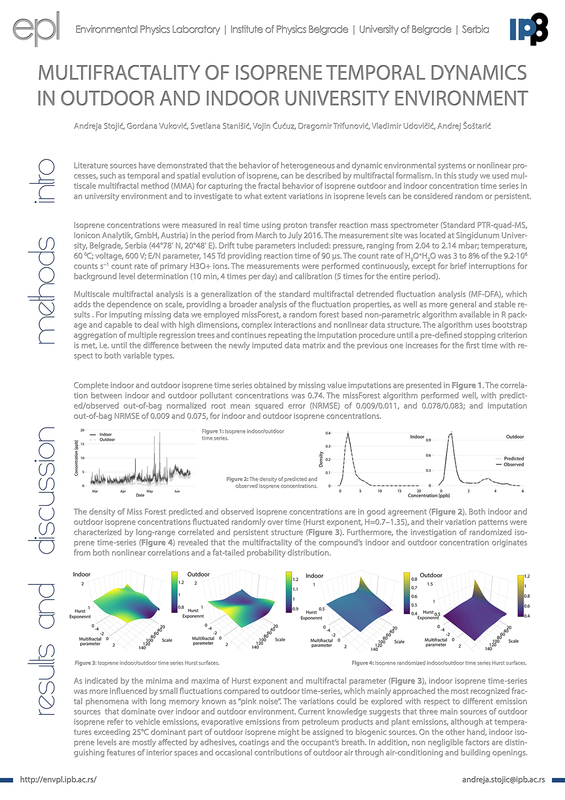 As urban air quality has a great influence on both regional and local scale atmospheric processes, systematical and comprehensive investigation has been conducted. December 4th, 2018: Prof. dr. ir. Roeland Samson (Full Professor, Department of Bioscience Engineering, Faculty of Sciences, University of Antwerp, Belgium) visited Environmental Physics Laboratory. He was a member of the Commission for defence of the Doctoral Dissertation of Tijana Milićević, research assistant in EPL (December 3rd). 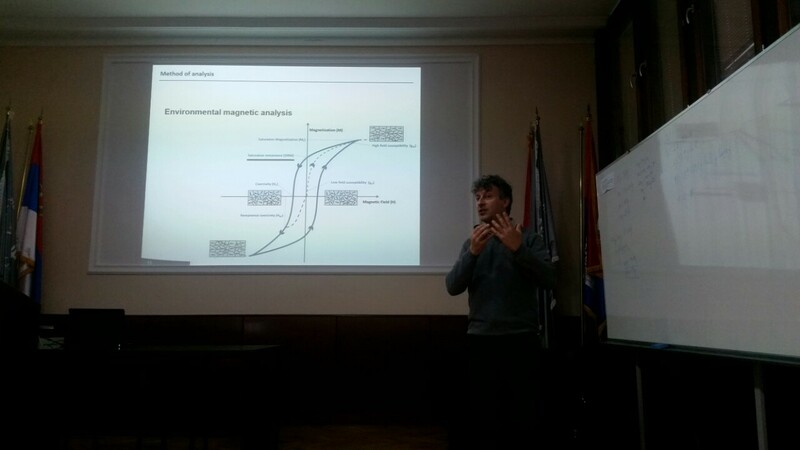 Dr Samson held a lecture on December 4th "Biomonitoring of particulate matter" at the Faculty of Chemistry, University of Belgrade. 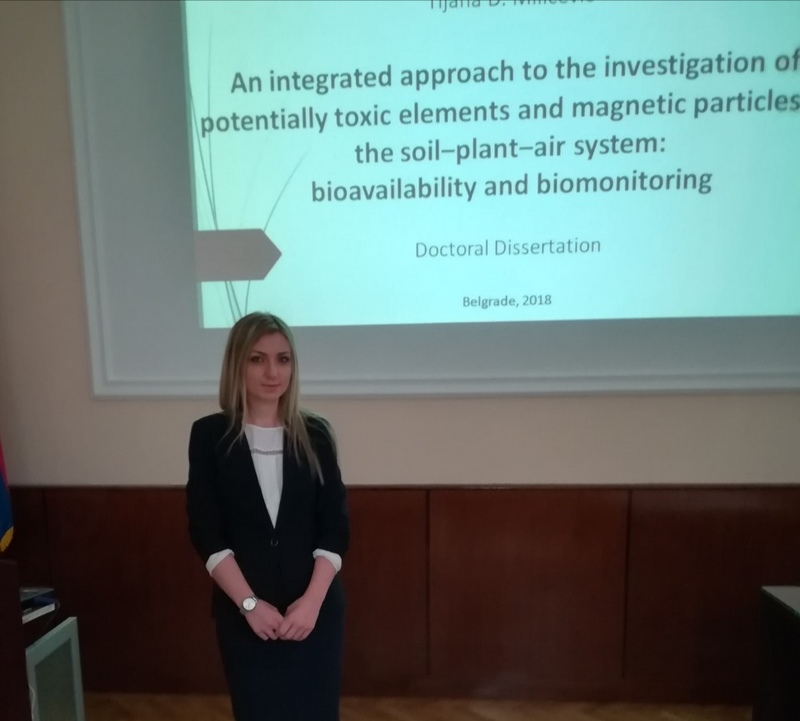 Decamber 3th, 2018: Tijana Milićević, research assistant in Environmental Physics laboratory defended Doctoral Dissertation entitled “An integrated approach to the investigation of potentially toxic elements and magnetic particles in the soil‒plant‒air system: bioavailability and biomonitoring” (Integrisani pristup istraživanju potencijalno toksičnih elemenata i magnetnih čestica u sistemu zemljište-biljka-vazduh: biodostupnost i biomonitoring) at Faculty of Chemistry, University of Belgrade. 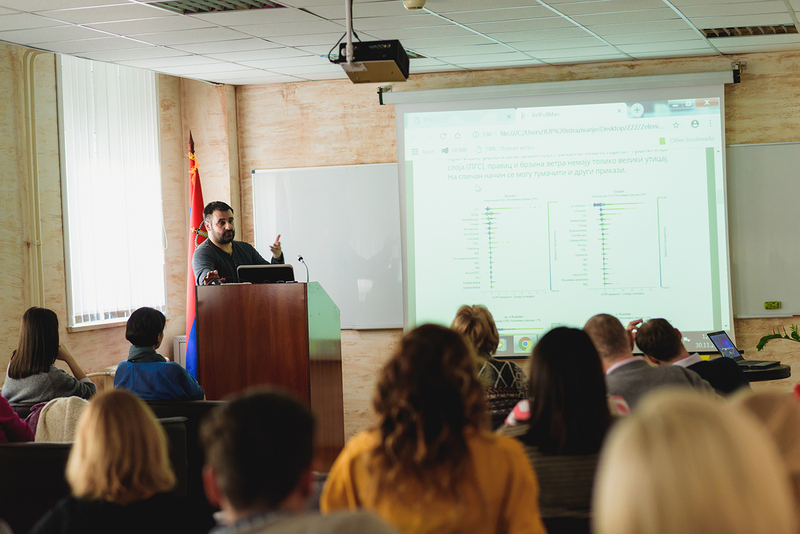 November 30th, 2018: Andreja Stojić, Mirjana Perišić and Gordana Vuković held a seminar entitled: “Environmental quality management”. Activities and results of the projects financed by “Zeleni Fond 2018”, the Ministry of Environmental Protection of the Republic of Serbia, were presented (in Serbian): 1) “Mapiranje izvora toksičnih, mutagenih i kancerogenih isparljivih organskih jedinjenja na teritoriji Grada Beograda” http://bpm.ipb.ac.rs/, Andreja Stojić, a project manager; 2) “Vremenske varijacije i prostorne karakteristike prisustva isparljivih organskih jedinjenjа i atmosferskih čestica u široj zoni Beograda - Realizacija kampаnje fiksnog i mobilnog prikupljanja podataka tokom grejne sezone sa analitičkim instrumentima minutne rezolucije” https://vin.bg.ac.rs/beoairdata/, Mirjana Perišić, a project coordinator from the Institute of Physics Belgrade; and 3) “Studija izvodljivosti implementacije nacionalne mreže za kontinualno i automatizovano praćenje značajnih parametara iz domena zaštite životne sredine”, Gordana Vuković, a project coordinator from the Institute of Physics Belgrade. November 21st, 2018: Andreja Stojić, Mirjana Perišić and Gordana Vuković participated in 26th Telecommunications Forum TELFOR 2018 (International regional Conference in the areas of Telecommunications and ICT). 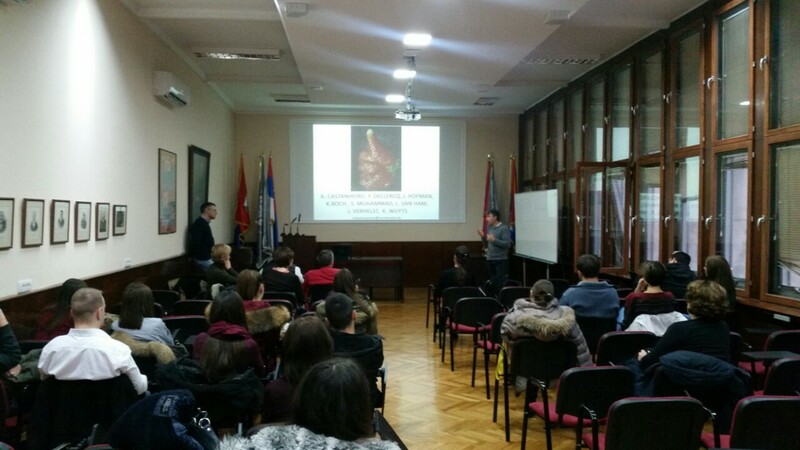 A joint talk entitled: “Nacionalna mreža za kontinualno i automatizovano praćenje značajnih parametara iz domena zaštite životne sredine” (in Serbian) was held by the participants in the project “Studija izvodljivosti implementacije nacionalne mreže za kontinualno i automatizovano praćenje značajnih parametara iz domena zaštite životne sredine” financed by “Zeleni Fond 2018”, the Ministry of Environmental Protection of the Republic of Serbia. October 22nd, 2018: Andreja Stojić, Mirjana Perišić, Gordana Vuković and Zoran Mijić will realize three projects financed by “Zeleni Fond 2018” , the Ministry of Environmental Protection of the Republic of Serbia, within the framework of a public competition for the promotion of educational, research and development studies and projects in the field of environment in 2018. The following projects will be realized between November 1st and December 6th 2018: 1) “Mapirаnje izvora toksičnih, mutagenih i kancerogenih isparljivih organskih jedinjenja na teritoriji Grada Beograda”http://bpm.ipb.ac.rs/ , Project manager: Andreja Stojić, Institute of Physics Belgrade; Project collaborators: Institute of Physics Belgrade, School of Electrical Engineering University of Belgrade and Singidunum University. 2) “Vremenske varijacije i prostorne karakteristike prisustva isparljivih organskih jedinjenja i atmosferskih čestica u široj zoni Beograda - Realizacija kampanje fiksnog i mobilnog prikupljanja podataka tokom grejne sezone sa analitičkim instrumentima minutne rezolucije”, Project coordinator: Mirjana Perišić, Institute of Physics Belgrade; Project collaborators: Vinča Institute of Nuclear Sciences and Institute of Physics Belgrade. 3) “Studija izvodljivosti implementacije nacionalne mreže za kontinualno i automatizovano praćenje značajnih parametara iz domena zaštite životne sredine”, Project coordinator: Gordana Vuković, Institute of Physics Belgrade; Project collaborators: School of Electrical Engineering University of Belgrade, Vinča Institute of Nuclear Sciences and Institute of Physics Belgrade. 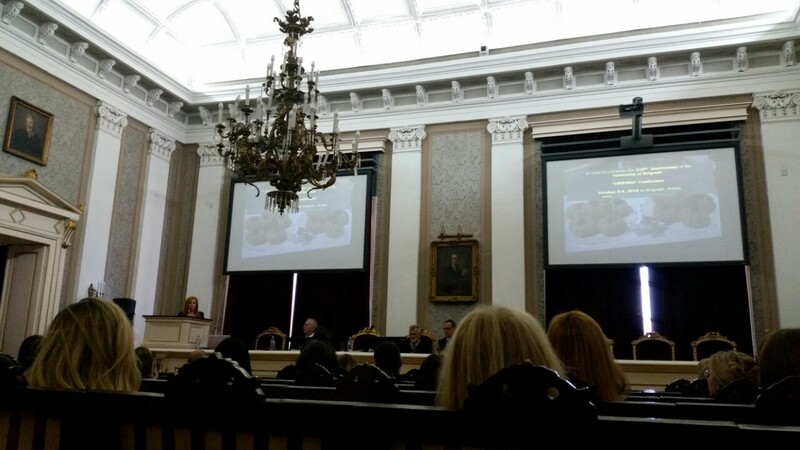 October 5-6, 2018: Tijana Milićević, research assistant attended the conference UNIFOOD, organized at University of Belgarde in order to celebrate the 210th Anniversary of the University of Belgrade. Tijana had poster presentation “Assessment of major and trace element content in two grapevine species and wine”. 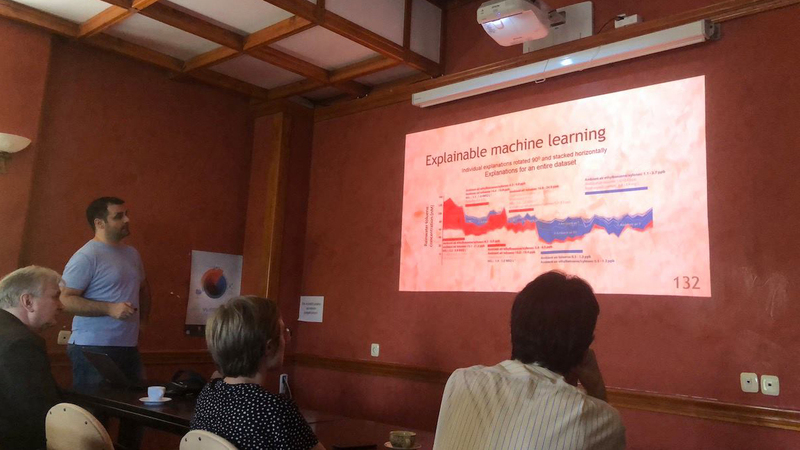 Over recent years, the success in the application of artificial intelligence implemented in machine learning, supported by the great availability of high-dimensional data, has become evident in all fields of science. 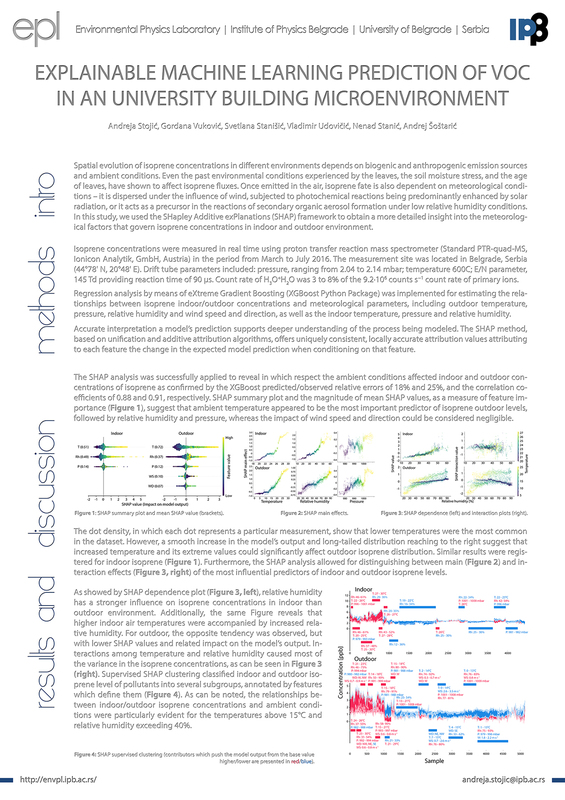 Nevertheless, understanding and correctly interpreting complex models for predicting natural and social phenomena, such as random forests, deep neural networks or an extreme gradient boosting, can be challenging. 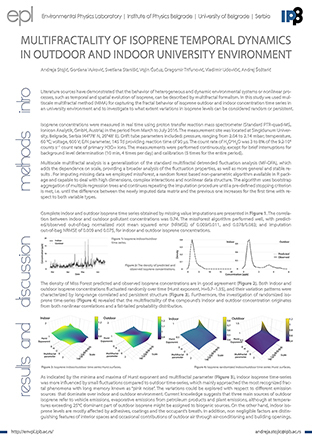 The ability to accurately interpret a model’s prediction, comprehend causality and features that drive prediction, supports deeper understanding of the process being modeled. Therefore, it is critical that researchers gain insight into the way such models arrive at their predictions. This seminar will cover some basic concepts of machine learning and an a posteriori explanation framework based on consistent, locally accurate, individualized feature attribution methods, aimed at shedding light on problems where human intuition and domain knowledge are often limited. 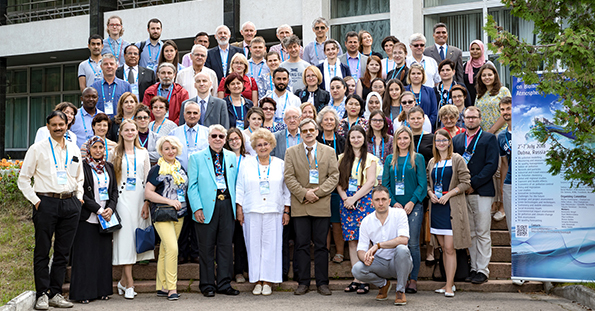 July 2 - 7, 2018: Mira Aničić Urošević, research associate professor and Tijana Milićević, research assistant in Environmental Physics Laboratory participated at The 8th International Workshop on Biomonitoring of Atmospheric Pollution (BIOMAP 8) in the Joint Institute for Nuclear Research, Dubna, Russian Federation. They participate with two oral and one poster presentation: Moss bag biomonitoring of air pollution: urban vs. agricultural scenario (oral); The grapevine leaves as bioindicators of air pollution by toxic elements and magnetic particles in experimental, commercial and organic vineyards (oral); Magnetic fingerprint of particle and particle-bound air pollution on deciduous tree leaves in urban area. 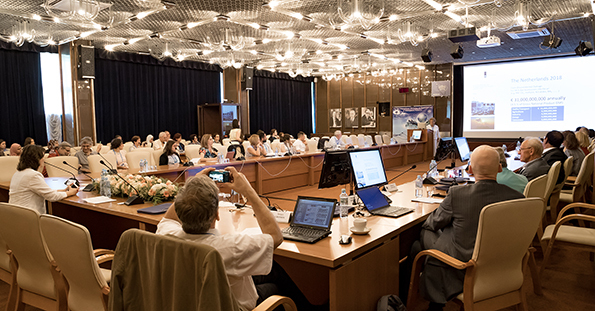 June 5, 2018: Tijana Milićević, research assistant in Environmental Physics Laboratory participated at The Fourteenth Regional Conference Environment to Europe, EnE18, Belgrade, organised by Environmental ambassador for sustainable development in the Serbian Chamber of Commerce. 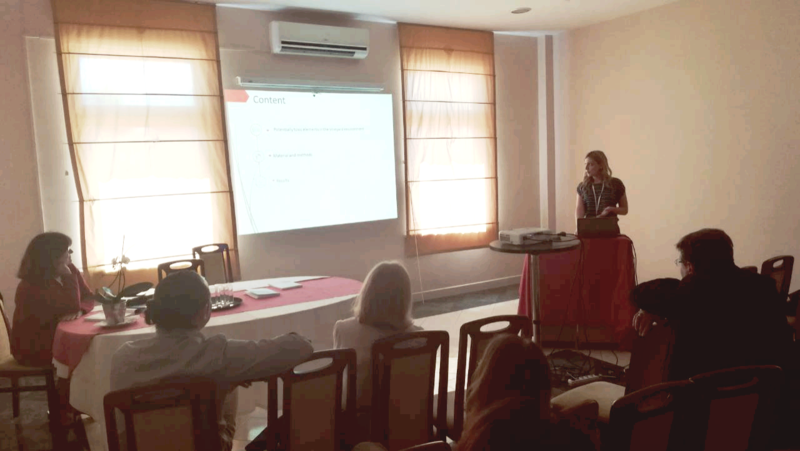 Tijana attended the meeting with oral presentation Investigation of macro- and microelements in soil, grapevine and air in organic vineyard: biomonitoring, ecological implications and health risk assessment. 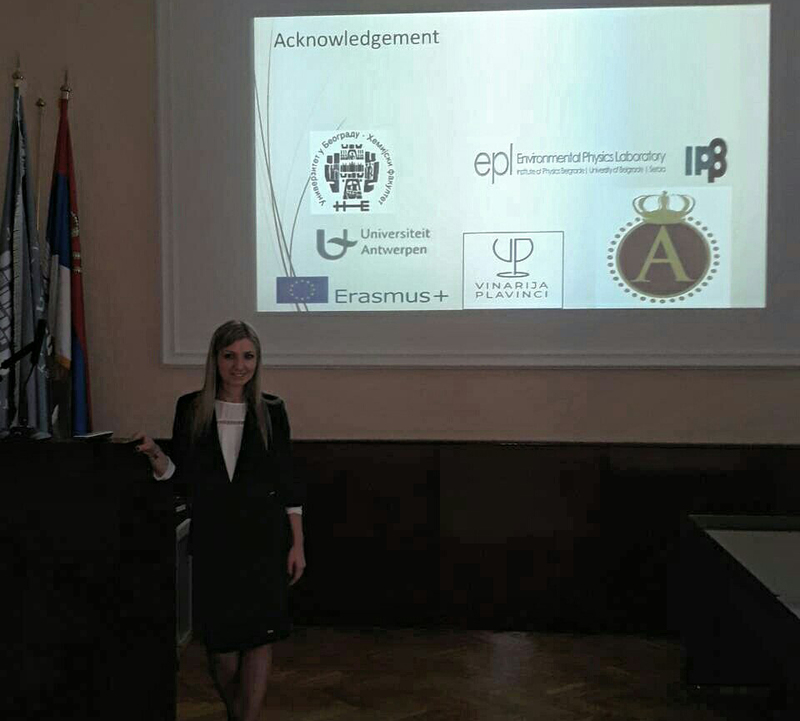 May 30 – June 1, 2018: Tijana Milićević, research assistant in Environmental Physics Laboratory attended the 8th Symposium Chemistry and Environmental Protection EnviroChem 2018, Kruševac, with oral presentation: “Assessment of potentially toxic elements bioavailability in the soil-plant-air system in different vineyard ambients in Serbia: biomonitoring, environmental and health risk implications”. This conference is organised by the Environmental Chemistry Division of the Serbian Chemical Society. 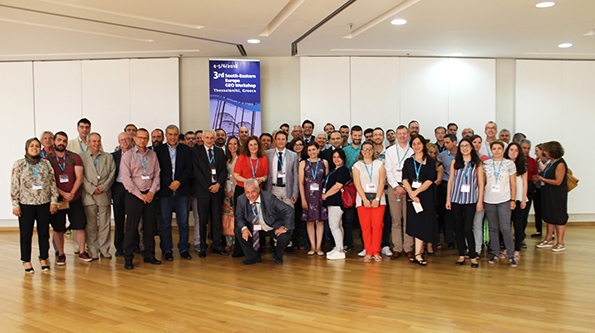 EnviroChem 2018 brought together researchers, scientists and experts from all fields of environmental chemistry and, by tradition, provided them with a unique platform for the exchange of ideas, the latest scientific achievements and technological innovations. A special feature was the presence of the local industry, primarily Trayal Corporation, who gave a distinctive and memorable contribution to this meeting. It gave a new impetus to the communication between the researchers, industry, and institutions involved in environmental protection. 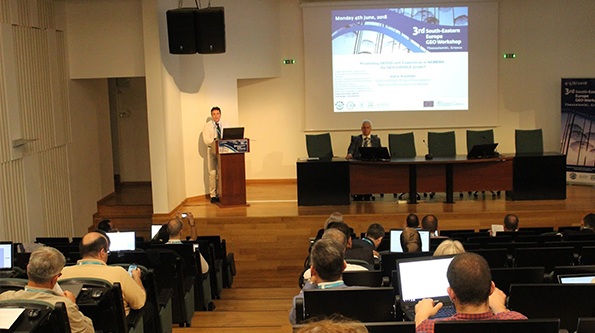 June 4 - 6, 2018: Dr Zoran Mijic and dr Vladimir Djurdjevic participated in the the 3rd South-Eastern Europe GEO Workshop on the uptake of GEO and Copernicus, with emphasis on Climate Change, Food Security and Water Extremes, Raw Materials and Solar Energy. 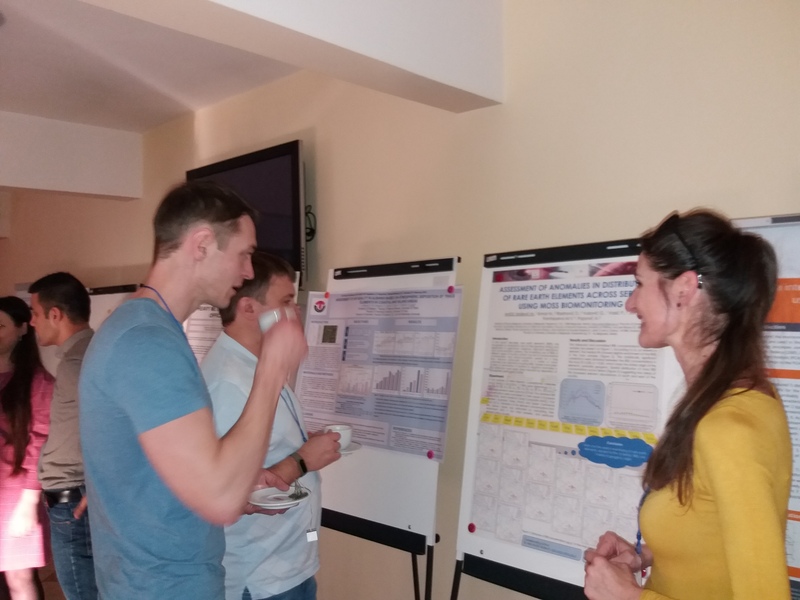 April 21 - 29, 2018: Tijana Milićević, Research Assistant in Environmental Physics Laboratory attended „International School on Nuclear Methods for Environmental and Life Science“ held in Montenegro from 21st to 29th April 2018. The school was organised by Joint Institute for Nuclear Research, Russia. 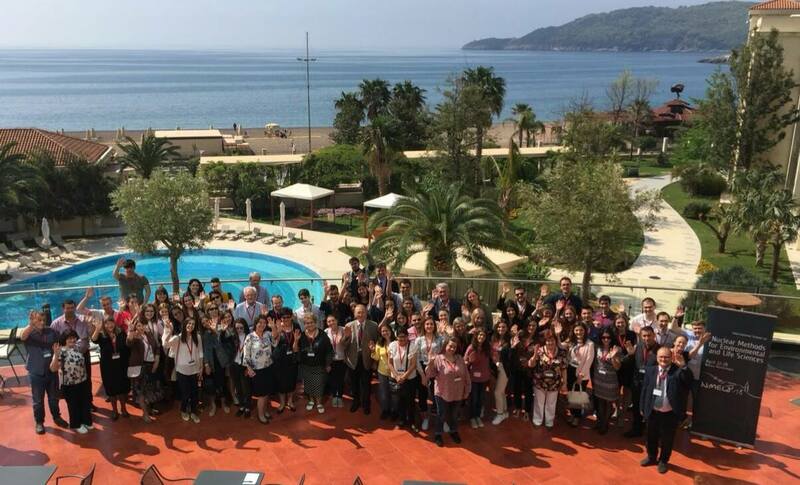 April 17-19, 2018: Maja Kuzmanoski attended the 4th ACTRIS-2 General Meeting, held in Nafplio, Greece. April 8 – 13, 2018: Luka Ilić participated in the European Geosciences Union (EGU) General Assembly 2018. 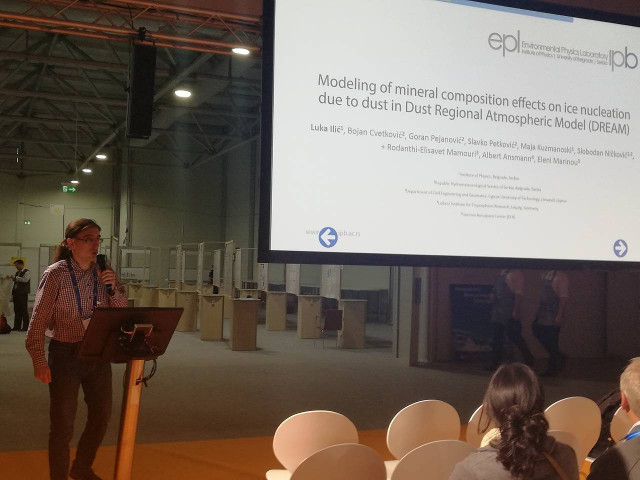 He presented results of research done in cooperation with South East European Virtual Climate Change Center: „Modeling of mineral composition effects on ice nucleation due to dust in Dust Regional Atmospheric Model (DREAM)“ at the Aeolian dust PICO session.